When I deployed to Afghanistan in 2007 for 15 months as an Airborne Medic, I travelled with hundreds of pounds of gear. Most of it was to keep me alive or to keep my fellow paratroopers alive. That’s what I joined the military to do, save lives. But over the course of my fifteen-month deployment, I discovered I couldn’t care for others if I couldn’t care for myself. Music was my outlet. I travelled to Afghanistan with two CDs. One was from a band called OAR. I knew that their music relaxed me and helped me escape the long days. What I didn’t know is that they would become the soundtrack to my life. I joined the Army with my best friend Jeff in 2004. He’s the one that introduced me to OAR. Unfortunately, he was killed in Iraq in 2009. I earned a Bronze Star in Afghanistan on November 10 when, while under fire, I saved the life of a French soldier who had been shot in the head. After getting him on the bird, I had a couple hours before my next mission. I listened to OAR to help stop my hands from shaking so I could go back out and treat more patients. I came home from deployment after an RPG hit the right side of my humvee. I was unable to spell my own name, could barely speak, and had to walk with a cane. Immediately after leaving the hospital, I drove to see OAR in concert and stood in line on my cane for six hours to get to the front row. 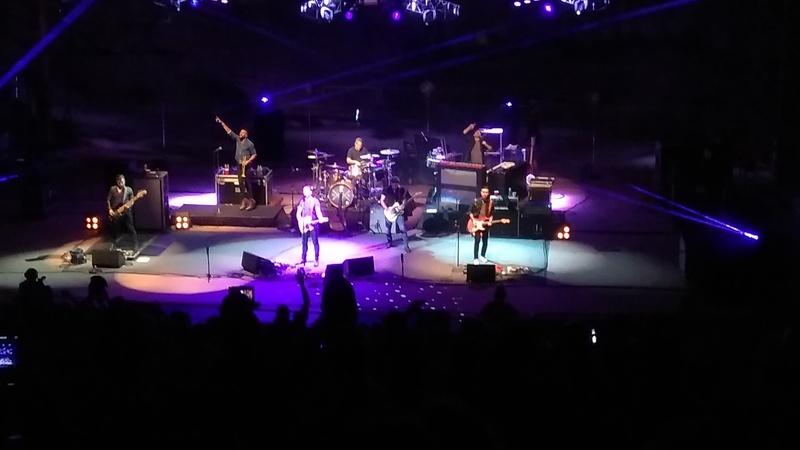 This weekend, on September 11, I was fortunate enough to see OAR again at Red Rocks in Colorado. War and military service have shaped my life. I’ve seen the best of times from saving lives. And I’ve seen the worst from losing lives and coming home disabled at 22. I’ve gained new battle buddies in the veterans space and helped better my community of veterans. And I’ve lost battle buddies to suicide. 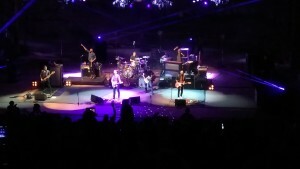 But one thing that has remained constant is OAR–throughout all the good times and bad times. Because of their partnership with IAVA, veterans are getting the services the need. While OAR didn’t serve with an M4, they’re serving in other ways. They’re raising awareness of veterans issues by playing veteran PSAs before their concerts. Hell, the lead singer introduced IAVA before he introduced himself or the band. They even stopped the concert to encourage the crowd to text to donate. And they’re engaging their fan base to raise money. Bumper stickers aren’t eliminating veteran homelessness or curbing suicide. But they can help support IAVA’s vital advocacy, assistance and awareness efforts. Just like the OAR song, I feel home. After so many trials and tribulations from my all-American journey as a veteran, this past September 11, I felt home. I felt home amongst the thousands of people, veterans and civilians, that came together to stand and unite on such a memorable anniversary of such a tragedy. There were no bombs or protests. No anger or fighting. No politics. Just people letting go and focusing on togetherness and love in the form of music by a band that has supported this Warrior since day one. So if you haven’t checked out OAR, what are you waiting for? Start with “War Song” or “52-50.” Both songs are derived from their experience with veterans and on USO tours. And if you’re looking to meet other veterans in your area, become an IAVA member today so you join an event in your area and help your community.